Reggae recording artist Lutan Fyah who made headlines last week after he was the victim of an ongoing scam, is currently gearing up to release a video for his new single "Love Is A Smile" which is featured on the Shank I Tun Up Riddim by Fat Eye Production. The video which was directed by the award winning video production company Icey Jace Film Factory, was shot across several locations including Gordon Town, Papine, HWT and Red Hills. Lutan who returned from Trinidad yesterday says his fans can expect a more new music and videos in the coming weeks. "Well right now we have a lot of ideas we will be putting into action. we want to connect with the fans in every way possible so we will be doing more videos, more interviews and more music for them to enjoy. We grateful for the support of the media and no matter what we always gonna promote clean and positive messages for the youths to learn from". In other news Lutan Fyah is celebrating his recent #1 on the Video Alley Top 10 Reggae Video Charts this after his song "This Love"alongside singer Lady G moved up from #2 to take the top spot over I Octane with "My Story". 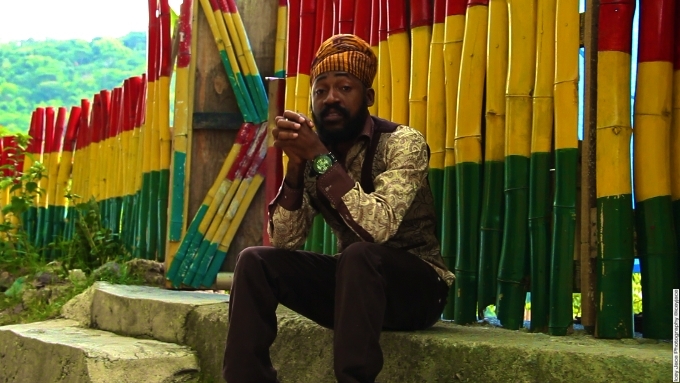 Currently promoting a sting of singles including "Struggle" on the Soul Acoustic Riddim, "Too Much Guns" on the HyphyHall Riddim and "18 & Over" on the Multiple Hits riddim by Must Rich Records, Lutan Fyah remains one of reggae's most consistent artists.